​A certified fitness trainer with over 25 years of experience. Passionate and committed to sharing healthy living techniques with her customers. 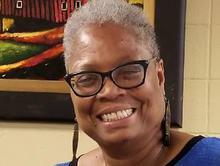 Energizing Enterprises2, LLC (EE2) was established in 2003 in St. Louis, MO as a small, woman-owned consulting business created by Shelia Pargo. As a certified fitness trainer, Shelia believes healthy living is the key to enjoying a happy and wholesome life. Through EE2, she provides her customers with healthy living options through lifestyle coaching that promotes wholeness – being your best - mentally, physically, emotionally and spiritually. Her approach is to educate and encourage her clients to see themselves and their environment from a viewpoint of what's positive and possible. Committed to helping our customers achieve their healthy living goals.